Named for deep color of the soil that surrounds volcanos, our women's Mediterranean Pons in Lava are perfect for both warm and cool seasons. Their dark color fits well with a fall and winter wardrobe, but can also bring balance to brighter outfits in the spring and summer. 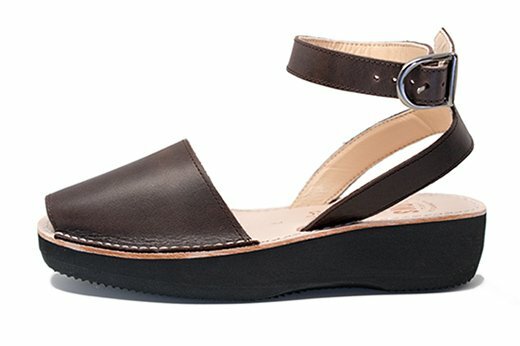 These Pons are handmade in Menorca, Spain from high quality full grain leather and have an ankle strap with a buckle closure for a secure fit, ensuring you feel at ease and comfortable wearing these sandals. 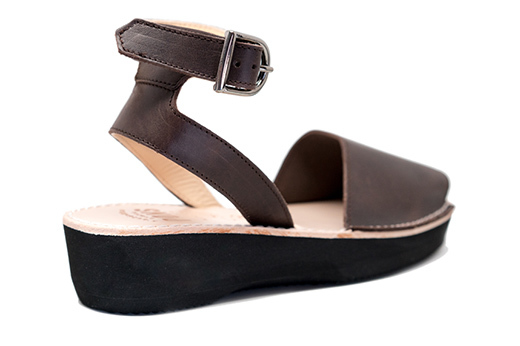 For a touch of additional style, they feature a 1.5 in (3.80 cm) lightweight platform sole.